Onechanbara Z2: Chaos is ranked in the 15th percentile of games scored on OpenCritic. As myself someone who grew up watching exploitation films, studied them at university, and have generally remained a fan of the kitsch aesthetic, Onechanbara Z2: Chaos is a resounding success as both an example of the genre and a homage to everything that makes it fun. That kitsch style is quite clearly the only thing Tamsoft wanted to achieve in this project, and weighed against that target, it absolutely hits the bullseye. This is a B-grade game in every sense of the word, but it is so ridiculously good, gory, chesty fun that I was truly mesmerised from start through finish. At first glance, Onechanbara Z2: Chaos is nothing but an overly sexualized gore-fest. It’s hard for me to agree on the $50 price point for what’s in the box. It is good mindless fun or a challenge depending on how you want to play. If you like these types of games you shouldn’t hesitate to try it out! A somewhat flawed game with a pretty fun and hectic combat system. Beware, the game is definitely hyper-sexualized. Although Onechanbara Z2: Chaos is certainly fun to play through, it does fall short in too many ways to look at it as much more than an average experience. If you enjoy button mashing, fan service laden zombie slaying, this game is for you. For everyone else, you may want to do your research before committing to this title. There's replayability in going for high scores and playing through harder difficulties, but most will play this once and probably not want to go back. When a price drop occurs and you have a craving for a 3D hack and slash adventure maybe give it a shot, but until then it's hard to recommend the game to anyone that isn't already a fan of the series. Onechanbara Z2: Chaos promises two things: fan service and zombie killing. It delivers on that but not much else. XSEED's lively translation and the sheer fun of zombie killing make it an enjoyable enough romp, but low production values and repetitive gameplay really drag it down. It's difficult to fault a game for wearing its heart on its sleeve, but it feels like more time was spent on skimpy costumes than level design. It's slightly cheaper than most games but not cheap enough to be an impulse buy. You'll get plenty of what Onechanbara offers, but don't expect much else. 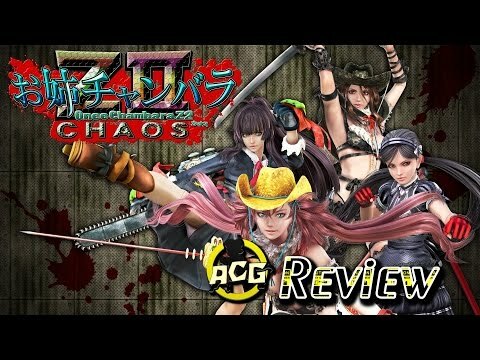 I can clearly say I had fun with Onechanbara Z2: Chaos, because in the end, it just manages to bring shameless adult fun with a slap of fan service, but even though I liked my short time with the game, it clearly needs work on its issues to bring a Onechanbara game that is more than just a mediocre game with deep, stylish combat to butter up the overall package. 'Onechanbara Z2: Chaos' isn't a particularly bad game. Taking the good with the bad, it lays decidedly on average, with a bit of quirkiness that's sure to appeal to a specific type of fan. However, it's far from a shining example of the genre, and with better action games having been released for the same system for a lower price, it's difficult to recommend this title to any but diehard action game fans. There's certainly a bit to like about this title, but it's only there for those who look beyond what's skin deep. So overall, if you're interested in Onechanbara Z2: Chaos, I'd say give it a go. It has some tedious level design such as the repetitive task of clearing multiple rooms, and it doesn't have the most interesting of stories, but the combat mechanics are definitely solid enough to have kept me entertained. It's fun enough that anyone who likes to slice up hordes of enemies and go for high scores will definitely have a good time with it, but anyone expecting a little more out of their package might not feel as satisfied. It's mindless and corny hack 'n' slash fun. It doesn't try to be much more, nor does it need to. Ultimately, Onechanbara Z2 Chaos is just a fun game. There isn't anything particularly notable about it, but it's fun to play through and mess around with. 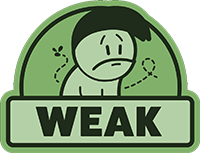 Unfortunately, it doesn't do anything well enough to rise out of mediocrity, despite having enough potential to do so. It just screams cheesy chanbara B movie. Onechanbara Z2: Chaos is one of the better entries in the eleven year old series, but that's not saying much. There's a decent level of character customization, relatively fluid swordplay and a ton of fan service to be found. It's all just incredibly dull.